1" Scale Railroad Supply Manufacturer and marketer of Nelson Gray line of 1" scale model railroad kits and components. 3R Plastics Manufacturer of high quality, affordable 0 and 027 gauge model railroad ties. 3rd Rail A division of Sunset Models, with online catalog and newsletter for all scales. AAA Precision Turntables We manufacture the highest quality turntables in the world for modelers that demand superior operation. Made in all scales, all sizes, feature prototype operation, infra-red indexing, 98% metal construction. ABG Model Trains O Scale 1:45. Product catalog and up to date information. Abracadata Software (now The Liquid Ate Her) Producers of Train Engineer, Design Your Own Railroad and other railroading software. A.C. Gilbert American Flyer S-Gauge Rarity Repaints Custom repaints of some of the rarest American Flyer S-gauge items using original American Flyer stock. Includes G. Fox, Simmons, Comet & Rocket B units, Keystone, White's, Celanese and others. Accucraft Trains Large scale electric & live steam models. Accu-Lites A manufacturer of HO scale lighting and DCC products. Accurail Makers of fine HO scale freight cars. ACE Trains The finest tin printed gauge 0 trains being made in the world today. Acrylic Display Cases We make and sell a wide range of display cases for the collector of models, dolls and memorabilia. Adair Shops Weight upgrade kits for contemporary model railroad cars. HO scale steel plate and beam loads. Coupler adapters kits. Adams & Westlake, Ltd. Custom Manufacturers of Products for Industry Since 1875. If you have a project that requires casting, drawing, punching, cutting, shaping, welding, brazing, polishing, grinding, bending, riveting, drilling, milling, or finishing, we can do it for you. Aero-Car Technology Makes a line of modern lubricants for model trains. AIM Products HO, N, O, and On30 scale cast plaster retaining walls, tunnel portals, and bridge abutments. Weathering powders and washes. Signs. Alamosa Car Shops We manufacture craftsman kits for model railroaders. Alan Curtis Models (now N Scale Kits) N Scale cast metal kits of American Intermodal 5-unit Spine Cars and other freightcars and accessories. Albion Software Railroad related software for operations and inventory. Producers of Ship It! switchlist generator and Railbase Professional. Alejandro Model Trains Manufacturer of handmade Spanish model railroad locomotives. A-Line/Proto Power West 1:87 scale plastic intermodal and vehicle models. Detail parts, decals, storage, and carrying case system and repowered diesel chassis and repowering kits. Alkem Scale Models Manufacturer of photoetched kits, detail parts and scenery items for N & HO scale modelers. All Scale Backdrops Backdrops for N, HO, O scale, unlimited length, height to 68 inches, photographic, awesome. Allen Doherty's Worsley Works Kits Suppliers of etched brass narrow gauge kits from 2mm to 16mm scale and British outline standard gauge kits in 2mm and 3mm scale and other scales by request. Allen Keller Productions Model railroad videos. Alpine Division Scale Models Manufacturer of HO Buildings, trolley line poles, walk-around throttles. Metal, mat-board buildings. Alpine Railworks Alpine Railworks offers unique and imaginative model railroad products, accessories and scenic accents in G-Scale and 1/24 Scale. Alpine Software Developers of quality collection management software for model railroaders. Altoona Model Works Martinsburg, PA. USA. Modelmaking services and prototypes. Laser cut model railroads kits, structures and buildings in N, HO, S, and O scale. Also cnc and laser cutting services. Museum quality craftsmanship. Alumilite Alumilite is a two part liquid plastic that turns from liquid to solid within 3 minutes. This casting resin allows you to reproduce anything you desire to the finest detail. American Beauty Soldering Tools Wide selection of Resistance Soldering Systems. Makes soldering like a professional fast and easy. American Limited Models HO & N scale model railroad products. American Model Builders Manufacturer of laser-cut structure kits, passenger car sides, cabooses, windows, and detail parts in HO, N, and O scale. American Models Manufacturers of quality S scale model trains. American Science & Surplus Ever-changing pile of incredible stuff at unbelievable prices: science and hobby kits, motors, tools and electrical components. AMSI Miniature Landscaping Landscaping material for model builders. Andersen Model Kits (Model Railroad Kits) Kits for rolling stock, structures, and trees for HO & O scale model railroading. ANE Model Producers of slow motion turnout machine " SmartSwitch" and DCC decoder. Applied Imagination International Plastic veneer and perfect panels for scratch building, mold making rubbers, casting materials, and glue for modeling. AR Kits Manufacturer and distributor of Australian outline model railway kits and detail parts. Aristo-Craft Trains Large scale locomotives and rolling stock. Aritec Models Selection of resin buildings, european railcars, and boats, N and HO scale. Arizona Rock and Mineral Co. Manufacturing and selling model railroad ballast, sand and gravel, rip-rap, scenic rocks, volcanic rock, cinder, rock stains, paving material, river rock, mining scenery, and miscellaneous modeling products accurately scaled to N, HO, G, and O gauges. Art Griffin - Great Decals Great N-O scale decal sets from the 1880-1950's freight and billboard box and reefer cars, decals signs for buildings. Arttista Accessories Come to us for the best in model train figurines. Asheville DieCast We offer approximately 2400 plus different collectible banks, signs and vehicle replicas. Athabasca Scale Models, Ltd. HO & N scale locomotives and rolling stock. Athearn Famous manufacturer of HO scale locomotives, rolling stock, and train sets. Atlas Model Railroad Co. Manufacturer of quality HO and N scale locomotives, rolling stock, structures, track, and more. Atlas O Manufacturing a complete line of fine-quality, O scale model railroad products in the tradition of Atlas quality. ATM Wagons High Quality N-scale ready-to-run freight wagons depicting British and European prototypes. Auscision Models Manufacturer of high quality RTR models of Australian prototype in HO Scale. Austin Modeling Associates Austin Modeling Associates has developed HO scale decals for vintage cars owned by regional railroads and short lines located in Texas and other southwestern states. Aust-N-Rail Locomotives, rolling stock, and other items for Australian modeling. Austrains The premier manufacturer of high quality RTR models of Australian prototype in HO. Australian Railcraft Manufacture and supply polyurethane detail castings for 5inch gauge live steam rolling stock. Authentic HO Trading Company HO awnings, boxes, and roof top details. Also customize and print stock certificates for your railroad. AWM Automodelle Manufacturer of HO cars and trucks. Aztec Manufacturing Professionally printed N scale cars, plus track cleaning cars, replacement DCC frames, freds, and more. Bachmann Manufacturer of N, HO, O, and G scale products and accessories. Bachmann Branchline See for yourself the rapid strides made by Bachmann in the development of OO scale models for the British Outline modeller. Backdrop Warehouse Photo-realistic backdrops for model railroad layouts by Historical Video. Backwoods Miniatures Produces high quality kits for narrow gauge railway prototypes in O/On30/Sn3. Badger Air-Brush Manufacturers of quality airbrushes and paints for the hobbyist. Bakatronics Model Railroad Electronics Designs and manufactures innovative products for model railroads. Banta Modelworks / Building & Structure Co / Tomalco We manufacture laser cut kits in HO, S and O scales along with S scale detail parts and S standard Sn3 flex track and switches. Bar Mills Scale Model Works Laser-cut structures and billboards for "N" thru "O" scale. Designed and manufactured by model railroaders this product line was developed with the craftsman-oriented model builder in mind. Bare-Metal Foil & Hobby Co. Tools, polyurethane casting resins, mold making materials, diorama landscaping products, and scale model medieval castles, plus Bare-Metal Foil. Bec-Kits UK tram car kits in HO and OO. BEL Inc. Model Decal Paper BEL Inc. is a supplier of model decal paper used for printing decals with alps or laser printers. Benchridge Benchworks Model Railroad Benchwork, An Expandable System. Website of Custom Made benchworks for the hobbyist. It accommodates your needs for size designs and scale - Z thru G ! Full Product Line available. Berkshire Junction Model Railroad Supplies We carry scenery improving products like Flashing Crossbucks, trees and EZ Line, along with behind-the-scenery products like power supplies, reversing units, and a variety of detectors. Berkshire Valley Manufacturer of detail parts, building kits, trailers and freight cars in O or 1/4" gauge. Bethlehem Car Works Manufacturer of craftsman HO passenger and freight cars, decals and trucks (former cape line?) Also produces vehicles (trucks) in HO. BGR Group Manufacturers of Fine Scale Model Railway Passenger Car Kits. Big "E" Productions The leader in contemporary train videos. Big Train Sound Our Compact Discs and Cassettes contain a variety of digital train sounds specifically designed to please rail fans. Bill Bedford Models (now Mousa Models) Manufacturer of British etched coaches. Binks Industrial spray finishing equipment including air brushes. BJ Models British prototype Gauge 1 loco and coach kits in etched brass, and nickel silver. Locos designed for battery power and radio control. I also design and manufacture 'anti-glitch' R/C speed controllers and servo smoothers. Black & Decker Manufacturers of power and hand tools, including the Wizard motortool. Black Bear Construction Company Tools and supplies for building timber bridges in all scales. Acrylic jigs for trestle bents, truss bridges, deck bridges and arch bridges. Blackstone Models Dedicated to the creation of high quality models, blending old-world craftsmanship with today's state-of-the-art technology. Starting with the newest technology in sound and electronics and designing their models around them, making them uniquely different than most other model train manufacturers. Blackstone Valley Railway We specialize in constructing wooden model railroad structures in all scales and gauges. We also carry a full line of kits, materials for both modeling and tracklaying. Blair Line Signs, buildings, scenery items, and bridges for the HO or N scale model railroader. Blazer Corp America's leading producer of high-quality, precision-crafted micro-torches. BLMA Models BLMA Models was founded with the purpose of providing the most innovative HO, N, and Z Scale accessories to the model railroad community. Blue Ribbon Models by Dave Frary Information on scenery, building techniques, tips, books, and video tapes. Bluejacket Shipcrafters Fine wooden ship & boat building kits and parts in muliple scales. In business since 1905. Bollinger Edgerly Scale Trains Scale structures, Trains, and Accesories for Model Railroads. Borg Rail Finescale trackwork and turnouts in 7mm and 4mm scales. Wagon kits built. Semaphore signals in 7mm and 4mm scale. Lineside models in 7mm and 4mm scale. Layouts built. TCS DCC Decoders supplied and fitted. Boulder Valley Models Manufactures a growing line of easy to assemble high quality cast resin and wood kits. Bowser Manufacturer of quality N, HO and O scale rolling stock. BPH Enterprises (SceniKinG Div) Designer & Manufacturer of model railway backdrop kits and custom backdrops for N-HO-S-O-G scales. BPL Brassworks - Supplier of Brass Models Provides great value and service on brass engines, rolling stock, structures and other products. Bragdon Enterprises Cutting Edge Scenery Technologies. Bradley Woodworks The worlds only manufacturer of custom wood railroad station clocks. These clocks are made to the high quality specifications of the original railroad station clocks used to keep time for each station. Branchline Products 1 ½" - 1’ Scale Detail Parts for the Discriminating Live Steam Modeler. Branchline Trains Manufactures HO rolling stock kits and will custom decorate rolling stock. Brass Car Sides An extensive line of high quality photoetched brass HO and N-scale passenger car sides and craftsman kits, as well as classic railfan videos. Brennan's Model Railroading Products Your O-Gauge source for crushed granite ballast, natural ground cover materials, chain-link, wooden fence kits and more. BridgeMasters Offering Trestles, Bridges, Portals for the Garden Railway (since 1991). Bridgewerks Aluminum structures for model railroads. Brimalm Engineering Swedish manufacturer of superior brass locomotive models in HO gauge and high quality miniature transmission components for different gauges. Brindabella Model Railways (now Moreton Bay Model Railways) The only Australian manufacturer of one-piece N scale buildings and backdrops for both N and HO scales. Broadway Limited Imports (formerly Precision Craft Models) Broadway Limited Imports, LLC is the world's foremost producer of top-quality HO and N scale model trains. The Cutting Edge Leader in Sound Equipped Model Trains. HO, N, On30 and G scales. B.T.S. Better Than Scratch! Laser-cut wood kits with plastic and metal detail castings in HO, HOn3, O, On3/30 scales. BTS Structures Maker of craftsman kits in O and S scales. Builders In Scale Produces scale model structure kits and the materials, accessories and detail parts to create highly detailed miniature scenes for model railroads. Busch Miniature Models Manufacturers of HO scale vehicles, scenery, and other accessories. C&BT Shops Bringing prototypically correct freight equipment to the HO scale modeler, including standard and narrow gauge. C+L Finescale 4mm and 7mm track building products, including P87 flat bottom rail - in steel! Cache Creek Scale Models Manufacture of unique old time logging and mining cars in either HO or HON3. Free-lanced handcrafted from Basswood with Kadee Couplers and MDC metal wheel arche bar trucks fully assembled cars. CADenza Enterprises Custom-built model railroad modules. California Roadbed Co., Inc. (formerly HomaBed) The finest model railroad roadbed on the market. Homasote pre-cut roadbed, N-G scales, available in 60 and 45 degree profile. Cambrian Models Manufacturers of plastic kits and components since 1973 in 4mm Scale (1:76) and 16mm Scale (1:19). Campbell Scale Models Manufacturer of Model Structures and parts. Cannon & Company Manufacturer of high quality injection molded styrene and photo etched brass HO scale Diesel detailing parts. Cannonball Ltd 1 1/2" scale, 7 1/2", and 7 1/4" gauge. Mail-order and manufacturer of model railroad locomotives, rolling stock, rail, rail accessories, and many miscellaneous model railroad parts and equipment. Canyon Creek Scenics - Model Trees Super-detailed scale trees and forest products for model railroad scenery. Car Works, The The most complete source of model trolley equipment. Carl's Toy Trains: The Brakeman's Riveting Set Factory quality riveter for O and S gauge toy trains, that is quick, easy and affordable. Carr's Locomotives Builder of 1.6 Scale Model Locomotives. Carson Home Video We offer some of the most interesting video programs featuring electrically powered rail vehicles as seen all over the world. C. C. Crow - Fine Hydrocal Casting by Offers a full line of HO scale castings and craftsman structure kits featuring fine scale masonry cast in White Hydrocal. Some in S and O. The site includes many on-line clinics and photo references. Cedarhill Designs Manufacturer of O scale wooden structure kits. Centerline Products Manufactures model railroading's premier non-derailing, non-abrasive rail and wheel cleaner cars for Z to G scale. Central Locomotive Works We manufacture some of the best O Scale Brass kits and 'ready to run' models. Central Valley Model Works Manufacturer of HO bridges and bridge components, CVT Track system, and other modeling parts and accessories. Challenge Products Maker of railroad and streetcar simulation programs. Challenger Imports Current information and news of upcoming releases. Choo Choo Cam A track powered full color TV quality, video camera with optional sound to be installed in model electric trains. Chooch Enterprises Maker of HO, O, N and G scenery products, buildings and loads for freight cars. Classic Construction Models Brass and die cast scale models of construction equipment. Classic Metal Works Dedicated to producing the finest high quality, high value precision diecast collectibles in the world. Classy Woods LLC (formerly Matysik Displays LLC) ShelfTrax is my flagship product. ShelfTrax was designed to be both a flexible and great looking model train display shelf. In fact, about one half of all ShelfTrax orders are customized, so please feel free to make any request. Clear Signal Video Maintains a collection of railroad-related videos, now numbering well over 1500 titles, which are available for rental on a weekly basis. Clever Models High detail card models with character. Over 30 styles of texture sheet in O, S, and HO scale. Photo realistic structures and texture sheets. Fun, inexpensive. Clover House Dry Transfer lettering: Cars, Locos, Buildings, Alphabets, Stripes, Numbers, Chalk Marks. Scratch Building Supplies: Glass, Chain, Wire, Barrels, Screen, Cable, Sheet Metal. CMD Models - South African Railways models and accesories CMD Models manufacture locos and rolling stock in etched brass and injection moulded styrene, Lineside structures, detailing parts, etc for the SAR modeler. Coach Yard, The Manufacturers of HO passenger equipment that entered "LAUPT" and the "Oakland Mole". Color Canyon Materials We specialize in NATURAL Rock with an Unlimited Color Selection, Scaled for ALL Train Enthusiasts. Colorado Model Structures A manufacturer of contemporary era Model Railroad and Craft Building Kits and Components. Our policy of sales direct to the Craftsperson and Model Railroader allows us to save you money. Comet Models Model locomotives, coaches and tenders for the model railway enthusiast in 4mm. Comstock Carshops Purveyor's of Unique Model Railroad Supplies <> Referencing: Early day logging & mining and the old west. Concept Models HO Model Railroad Cars We are a developer of unique products for the serious HO railroad modeler. The product line includes Schnabel Cars, extremely large flat cars and vintage models all in resin casting. Con-Cor's Grand Central Station of Cyberspace Manufacturer and distributor. Control Panel Designs Custom made control panels for Model Railroads. Cooper Craft Manufactures a range of plastic construction kits for model railway enthusiasts in a variety of scales. Cream City Turnouts Hand Laid/Jigged of Standard and Custom Turnouts in On30, HO, Hon3, and HO Dual Gauge. Creative Casting Company Our aluminum and bronze foundry have been making couplings and bells and wheels for some of the 2 1/2" scale live steam folks around Washington State. We can make custom castings for railroads using our customers patterns and prototypes. Soon we will also be doing investment casting which would be of interest to smaller scale railroaders. Creative Laser Design Manufacturer of Laser Cut Kits in Z scale, N scale, HO scale, S scale, O scale and some G scale. We also have laser cut doors & windows sets for the various scales. Most of our kits are specific to New England prototypes with specific historical interest, but they are all well suited to other parts of the country. Lyndonville, VT.
Cripplebush Valley Models Home of Rubber Rocks! We offer the quickest and most realistic way to model outcrops and rock cuts. Our products are flexible, ready-to-install castings. There's no need to make messy plaster castings, just bend the Rubber Rocks to the shape you want, trim off the excess, and glue them in place! Crowley Scale Models Ordering information for specially decorated N-scale Intermountain Canadian National cars. Crystal River Products Manufacturer of high quality laser cut woods kits in HO, S and O scales. CSG Enterprises Model Trees & Log Cars. The trees are made from natural plants. No two trees are the same shape. The trees are manufactured in sizes from 3" to 14" high or in HO scale from 22 to 102 feet high and come in a variety of colours. CTI Electronics Manufacturer of computer controlled model railroad control systems and software for integrating a PC into the operation of your model railroad. Cumberland Model Engineering Limited production kits, track products, and parts for modeling in 1:20.3 (F) scale Standard Gauge (70.6mm between the rails). Included are several modeler's galleries of their scratchbuilt F scale locomotives & rolling stock. Custom Model Railroads Specializes in the design and manufacture of scale model railroad layouts. Custom Signals Manufacturer and dealer of O-scale signals and signal accessories. Developer of the new 21st Century Signal System. CustomTRAX Track and turnouts featuring "handbuilt" detailing. Features- flexible cork roadbed, pre-ballasted, real stained wood ties, ready to join and run. Custom Traxx Your HO scale supplier for electric railway modeling. CVP Products Manufacturers of RailCommand and EasyDCC. D & G Models HO pre-war passenger trucks Triple bolster 4 wheel sprung trucks for: SP Daylights;43-R trucks for 1938 Chief; 20th Century & Broadway; SP/UP COLA/COSF. D&K Models Resin kits of 1/87 vehicles and construction models. Dallee Electronics Model railroad electronics for the industry since 1976: digitized steam, diesel, electric, and other sound systems, throttles, detection circuitry / signaling and automation. Dave Frary's Blue Ribbon Models Information on scenery, building techniques, tips, books, and video tapes. DCC Braking and Dispatching Controls Controls for braking at signals, collision avoidance and station dispatching that require no additional computer or software. DeLuxe Innovations N scale model railroad products for discerning hobbyists! Depots by John Manufacturer and custom builder of model railroad structures and detail parts. Des Plaines Hobbies Parts, kits, and limited run freight cars in O, S, HO, and N scale. Manufacturer of S Scale America and O brass passenger car kits. Design Preservation Models (now Woodland Scenics) Scenery for all scales. Details West Manufacturer of details for the discriminating HO model railroader. On line catalog and ordering information. See examples of products used on models and layouts. Die-Cast Direct Our main concentration is on offering die-cast models in O scale, plus G scale. Digitrax Makers of Digital Command Control (DCC) equipment. Division Point Providing the finest brass and plastic scale model trains and accessories. DJH Model Loco Manufacturer of the largest variety of metal locomotive kits in N, HO, O, & OO found in Europe. Doctor Ben's Scale Consortium Here you will find original, quality weathering and scratch building products that are contest proven to enable you to build a model as bad as we do. Doubleheader Productions Importing and manufacturing a wide range of small scale live steam and battery powered locomotives, rolling stock and companion products in 16mm and 1:32 scale. Downtown Deco Makers of unique architectural miniatures for discerning modelers. DPT Fast Rapid Prototyping DPT is a rapid prototyping/tooling company performing SLA, SLS, FDM, injection molding, casting, and more. Dremel Tools Manufacturer of the famous line of tools for all modeling needs. DSL Shops Produces O and S scale model urethane kits of buildings for model railroaders that generally include paper signs, a styrene roof and styrene support pieces and are easy to assemble. DSP Products We package and distribute several different types of high quality weights and two gauges of hook-up wire for the hobby industry. Pricing structure saves you money over the "national brand A". DUHA Maximum similarity of the models to their originals. Our manufactured articles contain preciously finished models. Durham's Water Putty From sculpting and model building to wood repairs and plaster patches, Durham's "Rock Hard" Water Putty lasts and lasts. Eaglewings Iron Craft Manufacturer of hand made steel bridges, trestles, overhead track systems, test track and accessories for G and other scales. Eastern Maine Model Railroad Club, Inc. Custom Decorated Freight Cars (HO Scale). Eastern Mountain Models Scenery materials, detail parts, electrical products and layout design. Eastern Seaboard Models Corporation N-Scale reproductions of eastern railroad prototypes. Echo Mountain Imports Importing the ultimate in small logging and construction locomotive and equipment models--crafted in brass. Eddystone Locomotive Company Fine HO Scale Steam Locomotive Models. El Dorado Software Supplier of precision track planning and layout design software for model railroading hobbyists. Our latest offering of 3rd PlanIt for Windows is available for Internet delivery or shipment. With a broad set of features and powerful automation, model railroad planning has never been easier or faster. Electronix Express Mail-order electronic components and tools. E.L.S. Trains Custom Decals Producer of small run custom decals in all scales. EMB Emmental-Modell-Bau GmbH Exclusive model railways HO from Switzerland EBT SMB VHB and RM Regionalverkehr Mittelland. E-R Model Importers Carries over 35,000 vehicles, trains, buildings, and figures for your modeling needs. ETS Manufacturers of O scale all metal locomotive models since 1991 in the Czech Republic. Distributed in the USA by Model Expo Inc.
Eureka Models Manufacturer of Australian Outline models in HO, including the NSWGR AD60 Garratt. Euro Tool Master distributor, core importer, and manufacturer of fine precision hand tools, equipment, and supplies providing distributors in the trades of jewelry, manufacturing, watchmaking, electronics, hobby, and more. Evan Designs Create realistic details for your layout. Evergreen Hill Designs Makers of the Evergreen Hill Designs line of craftsman-style kits. Evergreen Scale Models World's largest producer of styrene plastic shapes, strips, and sheet materials in metric and inch sizes. Exactoscale Limited Manufacturers of finescale modelling components for 4mm and 7mm modellers. ExactRail LLC The Next Generation of Model Railroading! Manufactures high quality HO and N scale model freight cars with exceptional details. Fast Tracks Manufacturer of turnout jigs, point & frog jigs, track laying supplies. Fidelis Models Manufactures and distributes highly detailed HO 1/87 scale military vehicle models for the wargamer, modeler, or train hobbyist. Fine Scale Miniatures Limited run Craftsman Kits. You can build a contest quality model from these kits produced by George Sellios. Finished Models Railroad Details, Buildings, Structures and Accessories. N Scale, HO Scale and O Scale designs that will improve the creative side of your Model Railroad Layout. From the small details up to the larger structures, these creations all add that extra scenic character that can bring your model railroad to life. Foothill Model Works Manufacturers of narrow gauge decals, rolling stock, and structure kits. Fos Scale Models We have been producing model railroad structure kits since 2002. Our kits include in-house, precision laser cut parts, metal cast detail parts and high quality plastic architectural parts from Tichy and wood from NorthEastern Scale Lumber. Fox Transfers Manufacturer of waterslide decals of British standard gauge railroads from the nineteenth century to present day. 2mm/N, 4mm/OO, 7mm/O. Fox Valley Models Supplier of quality model railroad items in Z, N and HO scales. We use our lifelong passion for railroading - both real and model - to produce great models you will be proud to own. Freedom Train Shelving Revolutionary train display with independent corners. Frenchman River Model Works Manufacturer of HO scale ship and boat kits. Kits contain highly detailed resin castings, britannia metal castings and some contain photo etched brass detail parts. Full Steam Ahead Full Steam Ahead is craftsman structure kit manufacturer. All kits are designed with excellent instructions and detailed parts to create a great diorama right out of the box. Fun & Games Hand painted and unpainted scale figures for your model railroad layout. Unparalleled craftsmanship. Funaro & Camarlengo Manufacturer of finely detailed resin craftsman kits of freight and passenger cars, buildings and accessories. 1890's to the present with emphasis on the transition era. Galco Industrial Electronics An electronics distributor with a large catalog and competitive prices. Garden Metal Models, Inc. Large Scale Powder Coated Steel Deck Girder Bridges, Steel Trestles, and Combination Catwalk/Bridge Tie Strips. GarGraves Trackage Makers of the Phantom Line O gauge track, plus Standard gauge, S gauge, and #1 gauge track. GC Laser Innovations Manufacturer of HO and N scale laser-cut, ALL plywood structures and detailing kits. Gecomodel French prototype locomotives in HO and large scale. GHB International O gauge PCC streetcar power trucks for the Corgi die cast PCC models. GHQ Models Manufacturers of Brittania pewter N scale models, includes online catalog and direct ordering information. Glen Snyder Display Systems Display shelves for toy trains, model trains and collectible trains! GML Enterprises GML has been a manufacturer of electronic controls for the Model Railroad for over 20 years. We offer many electronic products for the Model Railroader of all scales. Gold Medal Models Manufacturer of etched brass detail parts for N & HO scale. Golden Arrow Productions OO Gauge Loco Kits in Resin and White Metal by Golden Arrow Productions. Goldline Products Home of ALAMOSA CAR SHOPS. Manufacturer of craftsman kits for model railroaders in HO, HOn3, O, On3, S and Sn3. All parts and supplies except paint and glue are included along with detailed instructions and custom decals. Graham Farish / Bachman Europe Manufacturer of a wide range of British N Scale Wagons along with Locomotives, DMU's and Coaches. Grand Central Gems We are a manufacturer of realistic affordable trees and wooden truss brdges for N, HO , O scale railroads. Specializing in Pines, Spruce, Aspen, Oak, Fruit, Palms, Lodgepole Pine, Rock Molds, Lumber Loads, Fall and Summer colors on Aspen and Oaks. We pride ourselves on affordable pricing trees ranging from 3' to 20' tall. Grandt Line Products Dedicated entirely to the hobby industry, our primary products are plastic architectural details and builders hardware in all modeling scales. We also produce a line of On3 and HOn3 craftsman kits and several products designed for dollhouse miniaturists. Granite Creek Enterprises Ready-to-run On30 rolling stock made of wood, small layouts, figure painting, O scale brass parts, hand carved wood signs. The Great American Train Company The Great American Train Company is a Minnesota-based manufacturer of backyard riding trains and accessories. Great Decals Decals for The Virginian Railway, New York Central, Florida East Coast, and Northeastern roads. Great West Models We manufacture high quality injection styrene model buildings and highly detailed resin & white metal detail parts in HO Scale. Green Frog Productions Train Videos. The Leader in Railroad entertainment! Green Steam Products Innovative products for model railroaders including detection, automation, lighting, and others. Greenway Products HO detail parts and items. Grizzly Industrial, Inc. Purveyors of fine woodworking and metalworking machinery & accessories. Grizzly Mountain Engineering Model railroad sound generating system, brass locomotives, and rotary snow plows. Grobet USA (Mascot Precision Tools) Grobet USA has a proud heritage of over 134 years in the design, production and distribution of precision tools for professional technicians and craftsmen. Grobet USA maintains state-of-the-art production facilities in the US and Switzerland as well as a global network of suppliers to provide an offering of more than 18,000 products. Guts, Gravel & Glory Manufacturer of HO, N, and G scale structures and scenery. H & N Electronics Soldering products for the modeler. We feature Supersafe Soldering Flux, the safe easy to use flux. We sell direct and through Hobby Stores. Hallett Oils (formerly Model Oil UK) Manufacturer and mailorder distributor of lubricants for the model engineer and enthusiast. Hallmark Model For almost 40 years, Hallmark has been at the fore front of producing and importing Fine Scale Precision Model Brass - steam and first generation diesel power and exquisitely detailed trains. Full product listing and extensive information. Handmade Accessories Small Tasmanian manufacturer, producing good quality, innovative L.E.D. Signals, crossing lights, street / yard lights and basic detection units. All Handmade. Hankscraft Inc. Hankscraft Inc. manufactures the 3440 dc motor (formerly know as Switchmaster motor). These motors are manufactured here, at our Reedsburg, Wisconsin plant. We discount according to quantity. Various RPMs and voltages available. Hanovale Model Castings Kits of Australian HO scale standard gauge rolling stock, structures and accessories. Hartford Products Quality rolling stock kits and parts for #1(G) Gauge. Hartland Locomotive Works We specialize in high-quality, affordable G-Scale Locomotives and Rolling Stock such as coaches, freight cars and cabooses. We also manufacture brass and aluminum track and other accessories for the Garden Railroader. Hay Bros. Garage Hay Bros. Garage manufactures cast resin items for model railroaders. Our specialty is freight car loads in all the popular scales from O to Z. Our loads are pre-sized to leading manufacturers freight cars and come pre-painted. No Cutting, Sawing, Trimming or Paint Touch-up required. Heathcote Electronics We produce automatic controls for signal and point operation, shuttles, storage sidings, station stops, etc. Operated by infra red detection. Helmsman Model Rail (formerly Helmsman Electronics Ltd.) A large range of model railway electronics from our "Super Power" mains powered controllers down to flashing N scale tail lights and almost everything in between. Herron Rail Video We Offer the Finest Video Programs of American Railroading You Can Buy. Highball Graphics Decals Specializing in New England Area Railroads. Highball Productions We specialize in high quality videos of trains and planes. High-Rails Over-head roadbed support system for G, Lionel, O27, and O scale track. Hillcrest Shops Specializing in 5" scale 15" gauge live steam locomotives and cars. Hillman Rail Clamps For over 20 years Hillman Rail Clamps has been making Large Scale railroads run better. HK Resin Models Vintage cars in HO scale. HMC Electronics HMC Electronics offers technical supplies to companies and individuals who assemble and repair electronic products and sub-assemblies. Hobbico High-quality, competitively priced R/C products and accessories, plus tools for the model railroader. Hobby Gauge Electronics Quality Electronics for Model Railroads with durability and trouble free usage. Designs are tailored for first time users or advanced applications. Hodgdon Scale Models Since 1987, Hodgdon Scale Models has been producing craftsman quality kits based on Historical New England prototype structures. Hollywood Foundry Manufacturer of the BullAnt range of power mechanisms in all gauges. HomaBed (now California Roadbed Co., Inc.) The finest model railroad roadbed on the market. Homasote pre-cut roadbed, N-G scales, available in 60 and 45 degree profile. Homasote Co. Yes, the product used on many model layouts. Discover the history of Homasote, tour the factory, examine the products, and more. They may not make models, but they build our layouts! Hornby Hornby is a household name and is now famous as the UK brand leader in the field of Model Railways. Hornby America Manufacturer of European Hornby trains and American Rivarossi HO and N scale trains. Also Jouef, Lima, Arnold and Heico. Hot Wire Foam Factory We make tools for fast, fun and easy carving and sculpting scenery and scale models out of foam. Hunterline Craftsman Kits Canadian manufacturer of railroad bridges, trestles and other wooden structures, in N, HO, S and O scales. Hump Yard Purveyance Purveys mechanical lever turnout controls. Uses a SS wire in a Teflon sleeve, really simple and slick. 6 foot length or less. Ian Lindsay Models Manufacturing a range of On30 VR NG Puffing Billy Railway Rolling stock kits and accessories. Also On3/On30 Log Cars and trucks. Ian Stoate Models A supplier of quality modern-image rolling stock kits and custom loco repaints in British N Gauge. Illinois Central Gulf Custom Decals Custom made decals for Illinois Central Gulf Equipment. HO and N Scale. Imperial Hobby Productions We are a FULL-TIME hobby manufacturing company. We produce commuter, transit and trolley car models in HO, N and O scales. Ingram Autocontrols G & S scale block systems for automatic control of multiple trains on the same track. Innovative Train Technology Products Manufactures sound effects for cab control or DCC. Whistles, horns, grade crossing, animals, nature, city, country, and more. Innovator Line, The by Alpine Division Scale Models. Walk-around throttle for HO and N scales. Inter-City Models Home of "modern image" highly detailed scale rolling stock, accessories and manufacturers of the Superollers range of "dirtied" wheels. InterMountain Railway Company Manufacturers of highly detailed HO, N & O scale rolling stock kits. International Hobby Corporation Since 1981, IHC has proudly served as the world leader in precision crafted model trains. Iron Blossom Custom Models Custom made On30 model railroad rolling stock and structures. IronPenquin Electronics Welcome to IronPenguin Electronics. My goal is simple - to provide high quality model railroad electronic products at affordable prices. Isabel Central Enterprises Has Modular Roadbed for G Gauge track, 1/25 scale handmade structures, cars and engines and railfan books. Itty Bitty Lines (IBL Products) Manufacturer of Z scale pre-formed layouts in kit form or ready-to-run. Also, Z, N, and HO scale cork roadbed switch pads, and hardwood display cases for Z through HO scales. JigStones A complete building system for the garden railway. JL Innovative Design N Scale and HO Scale Castings, including the Durango Press line. JLC Enterprises Inc. Here you can find product and ordering information for the Bruce Chubb designed Computer/Model Railroad Interface (C/MRI) System. JnJ Trains Rare detail parts, body shells, power chassis, and special run cars for the N scale modeler. Jocadis Belgian railway models in HO and HOm, including a model of a Garratt steam dummy in HOm. Joseph L. Mania Toy Train Reproductions Reproductions of early toy trains. Repairs and restorations on all types of toy trains and accessories. JTT Microscale We manufacture over 800 items on scenery products and model parts such as: Miniature Trees, Armature, Turf & Ground foam, Gravel & Ballast, Skylights, basswood, human figure, automobile, street furniture... for Model Railroading, Architectural model. Just Kits & Models UK Just Kits & Models, UK is a model shop known for selling model aircraft, model vehicles, model ships, model tanks, military figures, model paints, modelling tools, warhammer, diorama. Scale models in 1:35 scale, 1:72 scale, 1:48 scale, etc. JV Models JV Models produces fine quality, craftsman kits for models railroad layouts. Kits are available in N, HO and O scales. Kits are replicas of historical buildings, structures, and trestles to complete vivid and compelling layouts. KA Products Electronics, signal components, and software for model railroaders. Kadee Quality Products Co. Manufacturers of rolling stock, couplers, trucks, and accessories in several scales. KAM Industries Produces software for operation and control of model railroads. Kanamodel Products Manufacturers of authentic and accurate laser cut wood kits in HO and N scale of both Canadian prototypes and models of interest to all discerning Model Railroaders. Every kit is scaled from actual blueprints or from the buildings still standing. Their structures are laser cut for precision, accuracy and ease of assembly. Kappler Mill & Lumber Co. Manufacturer of Precision Scale Lumber for the discerning craftsman. Kaslo Shops Manufacturer of modern Canadian locomotives, rolling stock, and scenery cast resin kits in HO and N scale. Kato USA Manufacturer of quality HO and N scale locomotives, rolling stock, and track. KBscale Manufacturer of the ex-Roy C Link narrow gauge kits for 0-14 and 0-16.5. Kerroby Models Australian manufacturer of detail parts and figures. For example, cattle available by individual breed, sheep (shorn and unshorn), kangaroos, koalas, etc. O and HO Scale. King Tools Manufacturer of specialty hand tools and instruments for the hobbyist. KingMill Enterprises Laser-cut craftsman model kits in HO, N and O scale. K.I.S.S. Method Inc. Track planning tools. K-Line by Lionel K-Line by Lionel offers a full line of engines, rolling stock, accessories and buildings. K-Line by Lionel trains are traditional-sized O-gauge and 1:48 scale models with realistic details and decoration. KMP Models We are designers and builders of quality craftsman kits for logging modelers. Kohs & Company We offer you the latest information about our brass O scale model train locomotives and equipment. Kramer Products Train hobby figures, miniatures and animations for toy and model trains. White metal detailed castings for railroading modelers and automobile enthusiasts. HO, G, and O scale. LaBelle Woodworking Manufactures quality wood model railroad kits for some of those hard to find older style HO Passenger & Freight Cars, HOn3 Passenger and Freight Cars, HO Traction kits, O Scale passenger & Freight Cars, O Scale Traction and On3 kits. Lake Junction Models, LLC Designer and manufacturer of high quality laser cut kits in HO, N, S and O scales. Custom design, cutting and production available. Lakeside Scale Models (now Bollinger Edgerly Scale Trains) Fine HO scale wood craftsman kits and custom model building. Langley Miniature Models Langley produces over 1000 kits in 00, HO, N, 0, and 009 & 0/16.5 (00 and 0 scale narrow gauge). Large Scale Online Is exclusively Large Scale Trains. It is the premier location for Large Scale Dealers, Manufacturers and Club Members to meet on the Internet and exchange information. Large Scale Train Supply Manufacturer of G Scale train supplies, materials, bridges and structures. Our online store carries those hard to find items for your large scale railroad. Nigel Lawton HOn30/009 W G Allen Vee Tipper Kit This site contains details of a range of HOn30/009 scale "critter" locomotive and car kits with an industrial narrow gauge theme. The website also includes chassis kits and very small motors and has many pictures of both models and prototypes. All items may be purchased online and supplied worldwide. Lenz Elektronik, GmbH Maker of Digital Command Control systems. LGB of America Makers of world famous G gauge trains and accessories. Life-Like Products (now Walthers) Manufacturers of Proto2000, scenery, structures, sets, and more. Light Rail Products 1:24th scale traction model details + kits. Plus street car prints and postcards. Lineside Models (Richard Plantz Hobbies) N and HO scale vehicles for train layouts. The models are cast in resin and have pewter wheels. Some kits come with photo etched parts and other pewter parts. Lionel Official website of the famous O gauge manufacturer. Free downloads, Kids Club, catalogs, and much, much more. Liquitex We make an extensive palette of Medium and High Viscosity Professional Grade Paints, BASICS Student Grade Colors, specialty paints, surface preparations, additives, mediums and varnishes for the serious artist. LinkaWorld Building System Linka® is a system of reusable, rubber moulds used to make highly detailed brick, stone, and timber buildings and other scenery structures. Live Steam Locomotives (Roger Goldmann) Precision 7 1/4" - 7 1/2" gauge locomotives. UP 4-6-6-4 Challenger, UP 4-8-8-4 Big Boy. Rough & machined castings. Chassis-on-air models: USRA Heavy Pacific, 2-8-0 Consolidation & USRA 0-6-0 Switch Engine. Reproduction railroad drawings. Lo Cascio Originals Scaled Miniatures Lo Cascio Originals produces Scaled Miniature Lighted Telephone Poles in Ho and N scale. We also produce Animated Accessories such as an Operating Saw Mill Kit Complete with an Animated Pond in N gauge and DPM Interior Details in N and HO Scale. Loco-Boose Hobbies Suspended Railway Systems for Large Scale Trains. Logic Rail Technologies Manufacturer of sophisticated model railroad electronic products. Lone Star Bridge & Abutment These products are designed for #1 Gauge (45mm) Trackage and 1:24, 1:22.5. Loys Toys We manufacture various DCC accessories, as well as specialize in DCC sales and support. Lunde Studios We offer a growing line of model railroad structure kits in HO Scale and N Scale. Now you can create a truly realistic downtown for your model railroad layout. Ma & Pa Junction Authorized Williams train dealer. Specializing in Williams electric trains. Secure mail order web site. Main Street Heritage Models Finely detailed HO scale American small town buildings, cast in urethane. Main West Models (might be out-of-business) Manufactured a range of diesel locomotive replacement mechanisms, ready-to-run Locos, and carriage kits based on Austrailian prototypes. MajorFrn's Realistic Scenery Co. Makers of realistic diorama quality trees for Model Railroaders in all scales. Malcolm Mitchell Design Manufacturer of British outline (mainly Great Western) finely detailed locomotive kits in 4mm and 7mm(O) scales, in etched brass & nickel silver. Märklin Official European website for this manufacturer of quality trains in many scales. Märklin USA World-famous manufacturers of model trains. Martin Finney Locomotive Kits/Chris Wesson Models Construction of etched metal British locomotive and rolling stock kits. Marx Train Parts We are the major manufacturer of parts to restore and repair Marx trains. Mascot Precision Tools (Grobet USA) Grobet USA has a proud heritage of over 134 years in the design, production and distribution of precision tools for professional technicians and craftsmen. Grobet USA maintains state-of-the-art production facilities in the US and Switzerland as well as a global network of suppliers to provide an offering of more than 18,000 products. Master Creations (now B.T.S.) Limited-run laser-cut structure and rolling stock kits. HO, S, & O Scale. Master Designs State of the Art Model Building and Visual Effects. Matysik Displays LLC (now Classy Woods LLC) ShelfTrax is my flagship product. ShelfTrax was designed to be both a flexible and great looking model train display shelf. In fact, about one half of all ShelfTrax orders are customized, so please feel free to make any request. Mazel Czech manufacturer of railroad models for scale H0 and TT, civic buildings, rail buildings, rails, spreadings, vacuum formed models and more. McGonigal Paper and Graphics A unique selection of quality art, craft & photo inkjet papers, decals, labels, greeting cards, business cards, iron-on transfer papers, supplies & software for professional, personal, & hobby creativity. MD Custom Models Custom built model structures both kits and scratchbuilt. MDM Locomotive Works We supply 1 1/2" scale diesel locomotive models, power trucks, and accessories for the large scale backyard railroad hobby, AKA the live steam hobby. Our models are built to the scale of 1.5" or 1.6" to the foot and to a track gage of either 7 1/4" or 7 1/2". Mehano Mehano products including its HO models locomotives etc, online store. Memory Lane Studios Manufacturer of "Easy to Make" Laser Cut Craftsman level kits and other Model Railroad related scenic details and tools. Metal Express The Metal Express Online Catalog features over 3000 shapes and grades of industrial metals & plastics. Metal Express, your complete online metal sales source. Meteor Models 7mm model kits, accessories. Microbrush Disposable Applicators They make very small applicators for glue and paint. Micro-Mark Micro-Mark is THE mail-order source for hard-to-find tools and supplies for hobby, professional and educational model building. Micron Art Etched metal structure and vehicle kits in Z, N and HO scale. Microscale World's largest producer of model railroad decals, plus online catalog. Micro-Scale Models HO, O and N scale laser-cut craftsman kits & custom built models. After 20+ years of business we finally have a website where model builders from around the world can check-out and purchase our quality scale railroad model kits. Micro-Trains Line Co. Manufacturer of N, Nn3, and Z scale rolling stock, couplers, and accessories. Midwest Products Midwest has all your wood needs for hobbies, crafts, miniatures, & architechural projects. Mike's Train House: RailKing Manufacturer of O scale model trains. Miller Engineering (Micro Structures) A leading manufacturer of photo-etched kits for the model railroad enthusiast and miniature collector Z and N scale. Miniatronics A specialist in miniature electronic components for the hobbyist, such as neon signs. Miniature Model Tree Model Landscaping. Handmade miniature tree for architectural model, model railroad, and dioramas. Miniature-Planet Fine scale products for model railroads and dioramas. Exclusive products like ground cover, billboard ads, hay bales, car loads and large selection of downloadable texture sheets for your scale model train railway, architectural projects or diorama. Miniatures by Eric Manufacturer of brass castings and urethane Hawaiian R R kits. Miniaturmodelle The official homepage of Miniaturmodelle, a manufacturer of HO gauge models of Soviet and Russian railways and cars products. Minicraft Precision Power Tools Minicraft's range of high precision tools is supported by a selection of attachments and accessories designed for various tasks such as Modeling, Woodworking, Electronics, Craft work, and more. MiniRail MINIRAIL is a windows program used to generate switchlists for your model railroad. Use it as a tool to give purpose to your operations in a logical and meaningful way. MinuteMan Scale Models Laser-cut wood craftsman structures, billboards and rolling stock for "N" thru "O" scales. Custom laser cutting from your design. Designed and manufactured by model railroaders. Miracle Glue Miracle Glue is stronger than Super Glue and as it contains no solvents it doesn't dry in the bottle. It dries clear and flexible and is foam safe. It will glue virtually anything. Missouri Locomotive Company 1:20.3 logging brass locomotives. Model Building Services Offers you the opportunity to own professionally crafted, fully assembled buildings for your train layout, diorama, or display shelf. Model Die Casting (now Athearn) Manufacturer of Roundhouse locomotives, rolling stock, and accessories in HO, N, and G gauge. Model Memories Custom designed kits and accessories to enhance your buildings, tracks, rolling stock, and fences that will bring your HO or S scale project to life. Model Oil UK (now Hallett Oils) Manufacturer and mailorder distributor of lubricants for the model engineer and enthusiast. Model Power Manufacturer of HO,N,O,G -Scale Train Sets and a full line of accesories. Model Railroad Control Panels (Control Panel Designs) Custom made control panels for Model Railroads. Model Railroad Kits (Andersen Model Kits) Kits for rolling stock, structures, and trees for HO & O scale model railroading. Model Railroad Warehouse Manufacturer and distributor of HO Cannonball, Red Ball, and Hometown kits. Troop car kits and prototype information available on website. Model Rectifier Corp. Manufacturers of model train control and sound systems. Model Tech, Inc. Laser cut architectural models and architectural detail parts. Model Tech Studios Structures for O and HO scale. Model Train Structures We create and custom build HO and O scale model train buildings and dioramas. Model Trains by Design We can assist you with the construction and/or design of your layout with as little or as much help as you need. From basic bench work to complete layout as you desire. Modeler's Choice - Model Railroad Products Manufacturer of model railroad structures and freight cars. Modelwerx Concerns itself with the creation of unique resin cast kits for layout. ModelWorks International (Steam Traction World) Manufacturers of fully engineered large scale live steam locomotive kits for assembly without the need for extensive skill or workshop facilities. Modratec Signal interlocking mechanical lever frames. An innovative blend of technologies allows the average modeler to design and build fully interlocking mechanical lever frames. Moloco Designs and manufactures caboose and freight car detail kits in HO scale. Monroe Models Manufacturer of Model Railroad Bridges, Structures and Accesories in HO, N and Z scale; builder of custom models for businesses and individuals; provider of design, mold making, casting, and laser cutting services. Moreton Bay Model Railways (formerly Brindabella Model Railways) The only Australian manufacturer of one-piece N scale buildings and backdrops for both N and HO scales. Motor Doctor, The A specialist in the area of train motor and transformer repairs for Lionel, American Flyer, Marx, Ives, Carlisle & Finch, Bing and many more. Motrak Models Motrak Models is the leader in the industry to offer model railroaders some of the finest loads in HO, N and Z scale out of resin or Hydrocal. Craftsman structure kits coming soon in multiple scales. Mountain Blue Miniatures An Australian manufacturer of 1:48 O Scale fine quality railroad figures in pewter. Mountain Car Company 1/8 scale railroad equipment made to be run and ridden on. Prototypical scale and paint schemes. Both rolling stock and locomotives! Mountain Modelcraft Makers of Insta-Foliage and other scenery products. Mousa Models Introducing a completely new range of 4mm scale kits for the discerning modeller. These combine state of the art high quality resin castings with photo etchings, and where appropriate, brass and whitemetal castings, to produce finescale models that are easily built without special skills. Also, many of the ecthed kits formerly produced by Bill Bedford are in the process of being updated and enhanced. Mouse Models Mouse Models is pleased to announce its first kit: The Cemetery, an all plastic, HO scale construction kit. Mouser Electronics Over 70,000 electronic parts and tools from many manufacturers. Free print, online, or CD-Rom catalog. MR Custom Service We custom build any kind of model you want , from locomotives to entire layouts. Mt. Albert Scale Lumber Co. We specialize in the manufacture of fine scale lumber and scale models for model makers. M.T.H. Electronic Trains Manufacturer of O scale model trains. MTS Imports Shows O & HO scale brass models that they import, plus photos of models that are in stock or will be available in the near future. Pricing information also. Muella Scale Models Designs and manufactures scale model structures in half inch scale or more commonly known as "G" scale. Musket Miniatures Manufacturer of HO and N scale early American people, animals, wagons, structures, metal details and scenery. N Scale Kits American intermodal and flat freight cars. N Scale Kits manufactures and sells the widely admired Alan Curtis Model range [AC Models]. Narrow Gauge & Industrial Specialist manufacturer and publisher of kits, books and magazine covering Narrow Gauge & Industrial model railways - mainly UK & Europe. National Balsa Where our number one goal is to save you money. We provide some of the best quality balsa and balsa products to be found anywhere in the world. N-deavour Small N scale structures for layouts. New England Rail Service Manufacturer of HO scale Pullman Parts Line and HO freight car details through its subsidiary, Standard Car Company. New Haven Terminal of Branford Hobbies Manufacturer of HO gauge locos and rolling stock for New England roads. New York Railway Supply, Inc. Programmable Turntable Indexing System. New Zealand Finescale Etched and cast kitsets of NZR prototypes in Sn3.5. Some parts will be suitable for other narrow guage and colonial prototypes. NGauging Bridges Offering a number of designs of wooden hand crafted bridges and trestles in Z, N, and HO scales. N.J. International Model railroading accessories in HO, N, and O scale. Norbrass Portuguese Brass Model Trains 1:87 scale. Norm's Train World (Pre-Size Model Specialties) A small manufacturer of model railroad scenery accessories specializing in tunnel portals, retaining walls, abutments, bridge piers and culverts. These products span scales N through G.
North Coast Engineering Manufacturers of Digital Command Control equipment. Northeast Model Products We are devoted to the finest quality model kits. The model boats, trains, planes and cars on these pages are made from the finest Maine lumber. Northeast Narrow Gauge Northeast Narrow Gauge offers modelers a selection of large scale model railroad kits based on the narrow gauge railroads of North America. These kits are oriented to those who enjoy the process of building and are suitable for both beginners and the experienced alike. Northeastern Scale Models Scale wood & laser cut components and kits for all scales of model building. NorthWest Short Line Provides fine quality high value specialty products for precision work such as model building, model making, miniatures and crafts, architectural model making, hobby work, miniature mechanisms, and power drives. Norwegian Railroad Models High quality models of Norwegian Locomotives and wagons in HO and O-Scale. O Gauge Dual Action Animations Bring your layout to life with dual action animated modules. Oak Tree Systems Electronics and software for complete computer control. Oddballs Decals Decals in HO scale for Missouri Pacific, Chicago Northwestern, Chicago Great Western, and other railroad, plus online color catalog. Office of Whistle Stop Railroad signs (cast iron or vinyl). OK Engines Manufacturer of all metal passenger cars in HO and O gauges. Custom service available. Downloadable catalog. 100% Made in USA. Old & Weary Car Shop A small business dedicated to producing hard to find model railroad items mainly for railroads in New York State. Olsen's Toy Train Parts A high quality parts reproducer for your Lionel, AF, Marx, AMT and Noma trains and accessories. On Track Trestle O Scale scratch-built Timber Trestle Bridges. Online Metals An online small quantity metals supplier. Stock includes Stainless Steel, Aluminum, Copper, Brass, Titanium, Tool Steels, Plastics and more. Orange Vista Traction Products A division of Alpine Scale Models. Trolley Line Poles and Accessories. Oregon Rail Supply HO Scale Signals and Accessories. OS Live Steam Locomotive Models powered by steam which have been produced by heating water with coal or LPG. Gauges range from 3.5 inches to 7.5 inches. Ozark Miniatures High Quality "G", 1:20.3, 7/8n2 Scale Kits and Detail Castings. P-Line Models Manufacturers of fine crafted Brass Garden Railroad Locomotives, Rolling Stock & Home Builder Parts in Fn3, G, Gauge1, 16mm and O scales. Pacific Western Rail Systems Producers and distributors of high quality, assembled freight cars in HO and N.
Palace Car Company Palace Car Company manufactures interior kits for HO scale Model Railroad Passenger Cars. PanaVise Products A major manufacturer of precision vises, circuit board holders, and more. Passenger Car Company 1.6 scale Streamlined passenger cars. Assembled or kits available. Painting all parts available. List of cars, parts and prices. Images available. P-B-L Manufacturer of finescale Sn3 models and equipment. Peco British manufacturer of track, switches, and accessories. Pecos River Brass A model train import company, wholesale distributor, retail store, and a place to go for O scale model railroading in the Dallas/Ft. Worth area and the world, plus N and HO brass. Pennsylvania Heritage Models Produces replacement power chassis in both S and O gauges. Pentrex Railroad videos and books. Petite Pines Northern Model Tree Manufacturer PPN makes fine scale model trees suitable for all scales that will fit most any budget. Phil's Narrow Gauge Quality built, rugged rolling stock, kits and parts. F scale, 1:20.3. Phoenix Sound Systems Model railroad sound systems plus online samples. PIKO Spielwaren GmbH A German manufacturer of high-quality HO scale trains, model buildings and plastruct. The German pronounciation is "p-e-e-c-o-h". P.J. Fusco Toys of Steel Operational O gauge catenary system, bridges, and stations made of metal. Plano Model Products We have specialized in providing Photo Etched details for the model railroad industry since 1989. Plastruct The world's leading supplier of Plastic Scale Model Parts for every facet of miniature scale model building. From Hobby to Engineering / Architectural to Special Effects to Educational, PLASTRUCT is your one-stop source for all your modeling needs. P&M and NC Bridges and Bents We are proud to offer our customers a full line of Model Railroading Bridges, Bents, Log Cars, and accessories, in "G", "O", "HO" and "N" scales. Port Lines Hobby Supplies Specialists in American Flyer trains and S-gauge railroading structures and accessories. Portescap An API Motion Company. Manufactures Ironless DC Motors, Disc Magnet Stepper Motors, BLDC Motors, Gearboxes and Gearmotors, Iron Core DC Motors and Control and feedback devices. Potomac Steam Industries Specializing in prototypical motive power for the garden railway. Powerline The aim of Powerline is to foster interest in models of Australian trains and to encourage people in the hobby of model railways. Power Scaler, The Designed specifically for N scale, the Power Scaler uses precision electronics to redefine the full scale throttle range of your power pack. PrairieWorks Railroad videos and cd-roms. Precision Craft Models (now Broadway Limited Imports) Broadway Limited Imports, LLC is the world's foremost producer of top-quality HO and N scale model trains. The Cutting Edge Leader in Sound Equipped Model Trains. HO, N, On30 and G scales. Precision Miniatures Manufacturer of South African Railway steam engines, rolling stock, and lineside structures in HO scale. Precision Products Model Building Supplies For Garden Railroaders. Precision Scale Co. Inc. Kits and super detailing parts. Custom casting, brass and plastic. All scales. Pre-Size Model Specialties (Norm's Train World) A small manufacturer of model railroad scenery accessories specializing in tunnel portals, retaining walls, abutments, bridge piers and culverts. These products span scales N through G.
Prestige Series Architectural Models Provider of rail related replicas of prototypes offered in both Hand crafted rail related models and kits. Prime Mover Decals Producer of HO decals for the NYS&W, M&E, and LIRR. Promotex Online HO scale vehicles. The largest selection of herpa, dragon, wooster and promotex models online. Protocraft Protocraft's emphasis is on wheels, but it also provides trucks, diesel conversion kits, steam locomotive tires, the only Finescale working coupler available, rail, and many of the tools necessary to accomplish various conversions from O Scale to Finescale, also known as Proto:48. Proto:87 Stores Manufacturer of the only Prototypically Accurate Track and Turnout Building Fixtures, together with a wide range of track and turnout construction details, components, kits and RTR turnouts for HO, N and Z scales. ProTrak Model Railroad Software The only real-time total operations railroad management system for model railroaders. Q Connection Currently provides products relating to the CB&Q; Laser-cut structures, rolling stock, detail parts, some decals, paint, apparel, and other miscellaneous products. QS Industries Dedicated to the design and manufacturing of electronics for model railroading since 1982. R&D Trackside R&D Trackside sells professional and realistic model railroad scenery products for model train layouts. Including Scenic field grass and Flowers. Our products are compatible with N-Scale, HO-Scale, S-Scale, O-Scale and even Z and G-scale. R&D Trackside's Scenery products will be a great addition to your model railroad layout. R&G Railroad Company Providing you with the best in wall or ceiling mounted "G" and "O" Gauge railroad trains and setup designs. Railbed Systems Garden railroad roadbed system. Rail Clamp (Hillman Rail Clamp) Rail clamps for G gauge track. Rail Dreams Assisting clients in any aspect of model railroad construction, from layout design to a finished and detailed layout. Rail Graphics Custom Decals Custom decal products and services. Also listed, Decal MarketPlace: a list of hard to find decals printed by Rail Graphics but sold by other individuals and companies. Rail-Lynx Has designed a line of products to enhance realistic and prototypical operation of a model railroad, such as command control, fast clocks, lighting control, and more. Rail Scale Miniatures Manufacturer of Canadian railroad related structures in limited runs of HO scale craftsman kits. Rail Shop, Inc. Manufacturer of HO scale ERM Beer Cars and Carbon Black Cars. Rail Town Wholesale/Retail model railroad supplies. New Spherical Water Tower kits in HO scale. New Self Storage Facility kits in HO scale. Rail Yard Models (closing soon...) Our goal is to produce craftsman style model kits of special interest railroad equipment from the 60's, 70's and beyond. Railmaster Exports Manufacturers of narrow gauge locomotives and automobiles. RailRiderSupply (Speeders and Accessories) Dual gauge Fairmont speeders (7.25" & 7.5")under $3k. Powered by Honda 2.5 HP and 5 speed trans. Pulls heavy loads. Wheels & axle sets other model railroad accessories. Railroad Express Layout Details make all the difference! We offer precision "O" and "G" Scale detail accessories, from real hay bales to Windmills and Whiskey Kegs. Railroad in a Box Railroad in a Box is a kit-built, light weight, portable model railroad layout. Rails Unlimited Manufacturer of decals in HO and O scale. Also of Urethane cars in O scale. RailTronics Software and electronic solutions for railroad hobbyists and enthusiasts. Railway Design Associates Product information on their HO, N, and O scale building kits. Railway Engineering The finest turnouts made, plus switch stands, motors, track laying tips, and more. Railway Recollections Railway Recollections manufactures high precision model railroad kits - specializing in narrow gauge. Check out our HOn30 Climax Loco! Ram Track O, S, HO, & N scale locomotives, rolling stock, electronics, and scenery. Rapido Trains Manufacturing high quality models of modern passenger trains. Realistic Backgrounds We sell backdrops (pre-made and custom) for model railroads, as well as accessories and model buildings. Realmotion USA, Inc. REALMOTION USA's programmable control system (patent pending) adds astonishing animation, control and sound to electric devices including electric cars, trains, toys, lights, motors, etc. Reboxx Model train boxes, foam inserts, and accessories. Red Caboose O, HO and N scale railroad cars. Red Cap Line HO Scale Passenger Car Interiors. Our product line includes prototypically correct passenger car interior parts and details. Including detailed part descriptions and photos. Regal Way Co., Ltd. Designers and manufacturers of high quality model trains and model railroading accessories. Remote Control Systems Manufacturers of digital radio control for trains. Resin Builders 4 U We custom build HO scale resin freight cars. We'll add detail, paint and weather. Our master modeler provides high quality service, expertise, and accuracy. Resin Unlimited Since 1996, Resin Unlimited has been manufacturing unique plastic model kits for model railroaders and collectors. We pride ourselves in offering exquisitely detailed reproductions in HO scale. All of our products are made here in Milwaukee, Wisconsin. R.F. Giardina Company Manufacturer of parts for American Flyer S, HO, and O.
Rib Side Cars Milwaukee Road's distinct rib side cars in HO scale. Rich Yoder Models Manufacturer of high quality, affordable brass "O" scale models. Freight, diesels and more. Richmond Controls Manufacturer of EZ-LITETM lighting systems for lighting model railroad locomotives, cars, and other hobby items. Ricks Electric Train Repair Quality repairs and service of Lionel, American Flyer and other major brands of trains, transformers and accessories. Rio Grande Models Manufacturers of HOn3, Sn3, On3 kits and parts. Both railroad and construction equipment. River Raisin Models Manufacturer of high quality 3/16ths scale brass model railroad equipment for over 12 years. Rix Products/Pikestuff Online catalog of products, direct ordering information, plus Rix layout tour. RMI Railworks Your single source for personal railroad supplies. For the finest quality engines, cars, castings, track, structures, and controls please visit today. Roco One of Europe's most prestigious model train and model railroad equipment manufacturers. Rod Miller's Web Pages Site describes custom drives, scratch building services, upgrading and repair, and DCC services offered by Rod Miller. Rolling Rails Rolling roads to assist in testing and construction in all gauges from N gauge to O gauge. Rollins Railroad Design Electronic kits, HOn30 kits, Class A Climax kit, Speeder kit. Room To Grow Landscaping Builder of Outdoor Garden Railroads, and Indoor suspended G scale Railroads. plus Installers of Ponds, Retaining Walls, Brick Patios, and Landscaping. Ross Custom Switches Your O, 027, and HiRail trains will never operate better or look better than they will on Ross Custom Switches equipment. Roundhouse Engineering UK Manufacturers of live steam locomotives in 32mm and 45mm gauges. Roundhouse Trains (Athearn) On RoundhouseTrains.com, you'll be taken back to the golden age of model railroading as you explore our classic, high-quality HO rolling stock and locomotives. While you are here, sign up for Athearn News and be the first to find out about new Roundhouse products. RP Hobbies (Richard Plantz Hobbies) N and HO scale vehicles for train layouts. The models are cast in resin and have pewter wheels. Some kits come with photo etched parts and other pewter parts. RR-CirKits DCC and DC Block Occupancy Detectors. Computer Interfacing. DCC Uncoupling. Information and PC Boards for DIY. RR-Track Sectional track layout software for Windows. Ruco European Models (Walter Waibel) Ruco is a small company producing plastic articles and very high quality railroad wagons. Rustall Weathering System RUSTALL....if you want it to look rusted and weathered. Rusty Stumps Rusty Stumps manufactures fine scale reproductions of cut stumps. They are hand carved and then cast in resin. They come in HO scale but the variety of sizes allows them to be used in most other scales. S Helper Service S scale and hi-rail freight cars. SamTrees Model scenery supplies for railway models & wargame models. We are a manufacturer of model scenery supplies. We manufacture & sell high quality etched brass trees, super realistic palm trees, swing & wire trees, plastic trees, scattering materials, grass mat, human figures and metric scale cars specially for metric scale models. Sandia Software Home of quality software for railroaders. The Scale Card Check for true scale accuracy anywhere, anytime. Scale Carnival Rides O Scale amusement and carnival rides for the railroad modeling enthusiast. Scale Creations Scale Creations offers precision laser cut craftsman kits and detail parts to model railroaders who desire the most realistic, highest quality products for their layouts. Available in O, S and HO scales. Scale Figures for Model Railroads (aka Fun & Games) Hand painted and unpainted scale figures for your model railroad layout. Unparalleled craftsmanship. Scale Link A wide variety of detail parts, figures, and vehicles, etched brass and white metal. Scale Model Masterpieces (formerly Thomas A Yorke Enterprises) The most detailed and architecturally correct structures and rolling stock to be produced in HO, On30 and Gn15. Scale Models, Arts, and Technologies Inc. Custom three dimensional model-making. Whether you are seeking fine scale craftsmanship, quality services on a tight budget, or something in between, we can fill your needs. Scale Products Co. All types of working signals in all scales in all types and from all eras. Large scales as well as up to three foot gauge. Depots, water towers and structures in all scales as well. Scale Shops Manufacturer of turnout machines, throttles, signals, electronic controls - also distributes miniature connectors and bulbs, heat shrink tubing, and LED's. Scale Structures by Howard Zane These structures are all designed and built by Howard Zane to represent the 1880 to 1920's West Virginia style of architecture. From home to railway and coal company. The scale is 1/87 (HO) or 1/48 (O scale). Scalecoat Model Railroad Paint For a professional finish on all models. Scalecraft We are the largest manufacturer of South African Railways rolling stock in the world. Mostly HO. Scaled World "O" Scale Signal Kits. ScaleModelPlans Vancouver, BC. Traceable templates, scaled plans, and cardstock patterns for model railroad structures for the novice to the experienced modeler. Scalescenes.com Download and print realistic model rail buildings and brick sheets from your PC! Each kit is available in a choice of realistically weathered scale photo-based textures. Download once, print and build as many times as required! Scene Clean Scene Clean model railroad layout dust remover spray. Scenic Express Manufacturer of scenery products and trees. SceniKinG Div; BPH Enterprises Designer & Manufacturer of model railway backdrop kits and custom backdrops for N-HO-S-O-G scales. Scott's Odds-n-Ends Electrical "Odds-n-Ends" for model railroad enthusiasts. Primary focus is "O" gauge, including relays, surge protection, auxillary transformers, bridge rectifiers, etc. Scottish Scale Loco Works Manufacturers of ready to run Scottish locomotives in 7mm scale. Predominantly Caledonian, North British and Highland railways. See-N-Joy N & Z display tubes, 5' x 2" sq. Pegboard mounting, adjustable sizing. Enjoy all your railroad equipment. Sergent Engineering Offers the most accurate HO scale couplers in the world for the most demanding modelers. Shelf Layouts Company, The Custom Layout Builder catering to those that want the ultimate in realism. ShellScale Decals Produces decals for Norfolk Southern, Southern, Norfolk & Western, and correct numberboards. Shenandoah Software MiTrains Inventory System software for Windows. 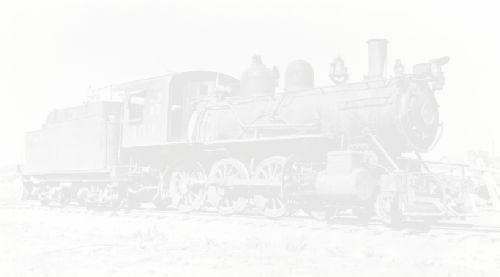 A complete inventory for all railroad equipment. Includes a database for all Micro-Trainstm cars. Warren Shephard Models Brass locomotive kit and parts manufacturer for GWR, GNR and L&Y locomotives in 7mm scale. Sheridan Products We manufacture D&RGW cabooses 1:20.3. We also offer a wide parts list for these cabooses. Short Hill & Western Huntington Beach, CA. Fine scale model railroad products & kits. Showcase Line Quality S scale model trains from S-helper Service. Showcase Miniatures A manufacturer of vehicles, structures, and characters in model railroad scales N, HO, and G.
Sidetrack Laser Manufacturer of Laser Cut HO and O Scale Model Railroad Structure Kits. Sierra Scale Models Site contains different sections including: railfan and model railroad club reports with photographs, "how to" articles, SIG logging related links, and full Sierra Scale Models product line with pictures of products. SierraWest Scale Models Limited-run craftsman kits and handmade detail parts. Signal Computer Consultants Train Dispatcher software game. SignalMan 4.0 Computer control for model railways. Sillub Technology Producers of XTrkCad layout design software. Smokey Mountain Miniatures Fully Assembled Model Railroad Products in Scales from Z to G. Large Selection of Scratch Building Supplies As Well. Custom Painting & Assembly Services Available. Smokey Valley Railroad Products View their online catalog of modern diesel and handrail kits. Smoky Mountain Model Works Makers of cast resin kits in HOn3 and On3 scales. Sonora Software Full-featured model railroad operations software, by a professional software company since 1981. SoundTraxx Manufacturers of steam and diesel locomotive sound systems, throttles, and DCC. South River Modelworks HO Scale crafstman structure kits featuring factories and railroad buildings in masonry and wood from the Golden Era of Steam. Southern Digital Makers of DCC equipment. Special Effect Supply Co. Silicone mold making supplies and instructional videotapes. Special Shapes Co. Full line of brass shapes for all types of model railroading projects. Serving the scratchbuilders for over 50 years. Speeders and Accessories (RailRiderSupply) Dual gauge Fairmont speeders (7.25" & 7.5")under $3k. Powered by Honda 2.5 HP and 5 speed trans. Pulls heavy loads. Wheels & axle sets other model railroad accessories. Speedwitch Media Craftsman freight car kits, prototype reference books, and decals for Prototype Railroad Modelers. Speedwitch provides modelers with detailed information about prototypes and models and offers quality products to enable modelers to increase the accuracy and fidelity of their modeling efforts. Stainless Unlimited Specializing in building bridges for model train enthusiasts. Standard product line or can custom build any bridge. Steam Era Models Steam Era Models manufactures HO scale injection molded kits, non-magnetic wheelsets and "Black Beetle" drive trucks. Steam Traction World (ModelWorks International) Manufacturers of fully engineered large scale live steam locomotive kits for assembly without the need for extensive skill or workshop facilities. Sterling Models HO rolling stock kits & replacement decks + Laser Cut window & door glazing for Grandt Line and others. Stevens Creek Models Incredible scale model trees- Evergreens, Aspens and Maples in summer and autumn colors. Light weight hallow detailed rock castings also available. Stewart Hobbies Manufactures beautifully detailed, authentic HO scale models, including locomotives and rolling stock. Online catalog. Stoner Creek Miniatures Manufacturer of Model RR re-motoring kits ( HOn2 1/2 - ON3, resin structure and rolling stock kits). Stoneworks These natural stones include sandstone, fieldstone, limestone, slate, and granite. Stoney Creek Designs Manufacturer of 1/4" scale structure kits and printed sportswear with a narrow gauge theme. Sunrise Enterprises Manufacturer of great N scale and HO detail parts, with many for the Western US modeler. Sunset Models For over 25 years Sunset Models has been producing fine brass models from the orient. We are dedicated to bringing you highly detailed, scale models in a variety of scales. Supply Line Models (SLM) O and HO scale buildings, plus 1/2" scale figures. Suspended Railway Systems G Scale suspended railways for indoor use - commercial or residential. Sweetwater Scenery Sweetwater Scenery provides realistic scale model scenery. Scale model trees are our specialty, but we offer many other products, such as Field Grass and Pine Tree Kits. Sylvan Scale Models Manufacturer of fine quality kits for the discerning model railroader. T's Custom Trees Manufacturer of highly detailed and affordable scenery products. Tamiya Manufacturers of model paints and accessories. Tangent Scale Models Unparalleled HO scale replicas for discriminating railroad modelers. We offer RTR models, Undecorated kits, Decals, and Research Prints. Tayden Design Tayden Design specializes in providing a wide range of innovative hobby software to help hobbyists enhance their hobby capabilities using computerized systems. Software includes Train Trek™, T.R.A.C.E. and HobbyTime. Ten Commandments (Cast-in-Stone) Plaster detail items in G, O, OO, HO and Z scales. Terrain for Trains Produces fine hard-shell plastic layouts which provide a no-mess, no-hassle method for building and operating model train layouts. The Liquid Ate Her (formerly Abracadata Software) Producers of Train Engineer, Design Your Own Railroad and other railroading software. Third Rail We sell The Collector© and its companion product Address Manager© software as a complete package designed for those who collect unique items, or manage collections, such as model trains. Tichy Train Group Manufacturers of HO freight cars, structures and parts. Also N, S and O gauge. Tillig Modellbahnen Manufacturer of TT scale European locomotives, cars, sets, and more. Timberline Scenery Co. Since the spring of 1991, we have been making the most realistic miniature trees, ground cover, foliage, and other hobby products available. Our products are preferred by model railroading enthusiasts, gamers, dollhouse collectors, and many other hobbyists worldwide. Our trees are compatible with all sizes, not just N Scale, HO Scale, and O scale. Titan GmbH Our product range includes transformers, power supplies and chargers for various applications. Our products are mainly produced for the technical hobby sector including model railways, car racing sets and similar. Today's Acrylic Mfg. Corp. Custom made cases, bases, covers and cabinets to display your treasured collectibles and model trains. Tomar Industries Maker of drumheads, model signals, and trackside details. Tool Source An informational resource for Hand Tool Manufacturers, Distributors, and Hand Tool Users. Provides links to hand tool manufactuer's catalogs, free hand tool classifieds, a bookstore for hand tool users, discussion rooms for hand tool users, and a wide variety of do-it-yourself information. Perfect for the model railroader. Top-Train ferrovie in miniatura Manufactur of fine collection brass models. Scale 1:87 "H0". All the production is built in limited edition. TPL: Train Programming Language The ultimate software for the Märklin Digital system. TracTronics Maker of model railroad electronics. Track Planning Supplier of precision track planning and layout design software for model railroading hobbyists. Our latest offering of 3rd PlanIt for Windows is available for Internet delivery or shipment. With a broad set of features and powerful automation, model railroad planning has never been easier or faster. Trackside Train Display Cases The largest selection of toy and model train display cases in the world. TrainCat Model Sales Etched Brass kits in all scales of bridges, structures, rolling stock, oil wells, electrical towers and construction equipment. Train City Innovations Manufactures Model Train accessories, Signals, Micro Lamps, Layouts, Dioramas and Model Train Repairs, for European and American brands N, HO, O, G.
Train Detection and Automatic Control Heathcote Electronics produces automatic controls for signal and point operation, shuttles, storage sidings, station stops, etc. Operated by infra red detection. TrainResource.com Custom O Scale: Buffalo Creek Graphics, LCAC, ESLES, Nickel Plate Models, Litchfield & Madison RHS, Georgia & Florida RHS. Train Tables Online Train Table and Storage Bin Drawer Trundle made from Solid Hardwoods. All of our hardwood train tables and storage bins are 100% MADE IN THE U.S.A. We also carry a large selection of Thomas Train toys by Learning Curve. Trainworx N scale code 40 turnouts, Flex Track, actuators, switch machines, low profile locomotive wheels, track laying tools. Plus the new Quad-bay Hoppers. Trix German manufacturer of HO and N scale model railroad products. TTX - Tony's Train Xchange We support more command control systems than anyone. Discount Prices, New/Used Sales, Trade-Ins, Installations, Loco Back Shop. Turner Model Works Manufacturer of FinestKind Mdl's "S" scale kits/details & Mile Post Model Works "O" scale kits/details as well as details in 1:32 & 1:24 scales. Twin Star Cars Twin Star Cars offers a unique line of HO scale model railroad kits, specializing highly detailed Rock Island equipment. Ulrich Models Ulrich models, maker of fine, die-cast hopper and gondola freight car kits is back under new ownership. Ultimate N Scale N scale trailer-on-flatcar trucks, trains and other vehicles. Underground Railway Press Specializing in model railroad plans of all types and scales. Email information request only. Unit Models Resin details in O, OO, HO, N and Z scales. Unreal Details/Magic Water Manufacturer of water modeling resin that won't, crack, shrink, yellow, bubble, require any heat or layering. No smell, indefinite shelf life. USA Trains Manufacturer of quality G scale trains: largest selection of rolling stock in the world. Vista Scenic Hobby Products Canada's premier scaled model scenery manufacture. Full line of model scenery including roadways, lichen, ballast, tunnels, scenic grass, etc. W.S. Ataras Engineering Manufacturer of model railroad train detection and signaling products, and a distributor of products related to signaling and train control. Walthers Manufacturer of quality HO and N scale rolling stock, structures, and locomotives, as well as a major distributor for the hobby. Watermark Enterprises Scale Models Manufacturer of kits to build scale model railroad bridges. HO, TT and N scales. Conform to NMRA standards. Weaver Models Manufacturer of quality O scale trains and Scalecoat paint. Weico Models Australian manufacturer of HO and N scale vehicles and streetcars. Wespe Models Resin manufacturer of uncommon military vehicles in O and HO. Westerfield Models Manufacturer of HO scale craftsman kits. Online catalog. Under new ownership. Western Hobbycraft "O" Gauge scale and near scale Trolleys. Primarily the Johnstown Pa. Lightweights Built by St. Louis Car company in the teens and twenties. Fine quality and detail at very desirable prices. Westport Model Works Creates backdrop building drawings. They are computer generated, not scanned, highly detailed drawings in full color on card stock. They can be pasted in the flat or relief to create realistic backdrops for model railroads. The drawings are available in O, S, HO and N scales. Weyand Associates/TracTronics Electronics, other resources. Wheels of Time Makers of N scale model railroad passenger cars and accessories for the serious hobbyist. Wiking Makers of quality HO and N scale cars and trucks. Wild West Scale Model Builders Manufacturer of high quality laser-cut wood craftsman structure kits and laser-cut shingles. Williams Electric Trains (now Bachmann Trains) Provider of Quality "O" Gauge trains for over 25 years. Windy Point Publishing Producers of West Of Union Station CD-Rom and other model railroading programs and tapes. Wiseman Model Services Inc. Importer of Fine Brass Models. Manufacturer of On3, On30, Sn3 craftsman kits and detail parts. Woodland Scenics Scenery for all scales. Worsley Works Etched brass kits in numerous scales, including S, HO and N.
WrightTRAK Railroad Models HO scale "fine scale models for fine modelers". Highly detailed rolling stock kits including a number of cabooses, developed using original builder's equipment diagrams. Wuiske Models Manufacturers of fine HO and HOn3½ locomotive and wagon kits for the Australian modeler using pewter and polyurethane. Yesteryear Creations Product and ordering information for their Farm Windmill and Sawmill Sawdust Burner N scale etched brass kits. Thomas A Yorke Enterprises (now Scale Model Masterpieces) The most detailed and architecturally correct structures and rolling stock to be produced in HO, On30 and Gn15. Yosemite Valley Models Yosemite Valley Railroad decals, plans, and maps. Z-Stuff for Trains Z-Stuff for Trains has put it all together - O-scale size... and infrared technology - all in one box. ZTC Systems We manufacture DCC model railroad system components that operate to the NMRA standards.